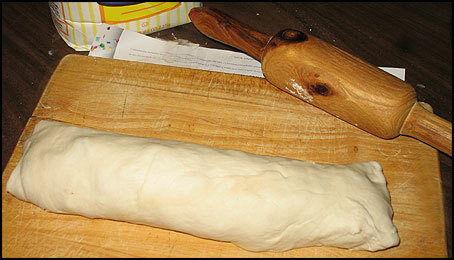 Take the thawed dough and place on a floured surface. 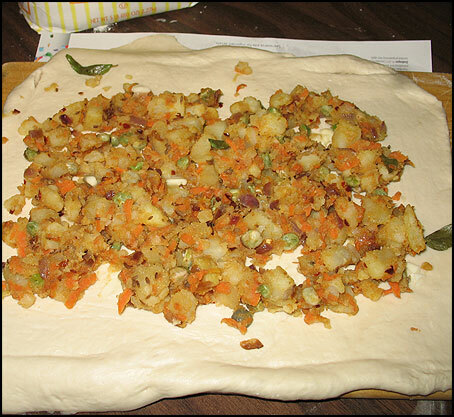 Spread the cooked vegetable on the dough evenly leaving about 1 inch around the edge. To serve, cut them into thick slices. 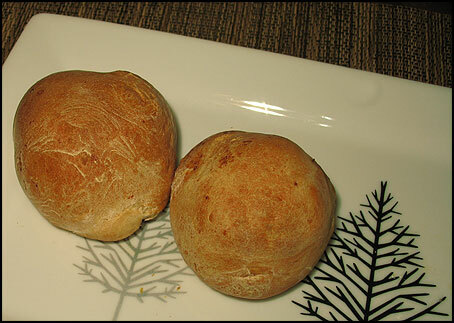 Instead of rolling like this, you can also make buns – take the thawed dough and make small portions. 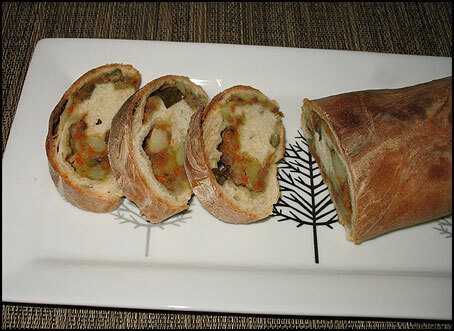 Make a well in the middle and add a spoon full of cooked vegetable and seal it to make a bun. Bake as mentioned above.